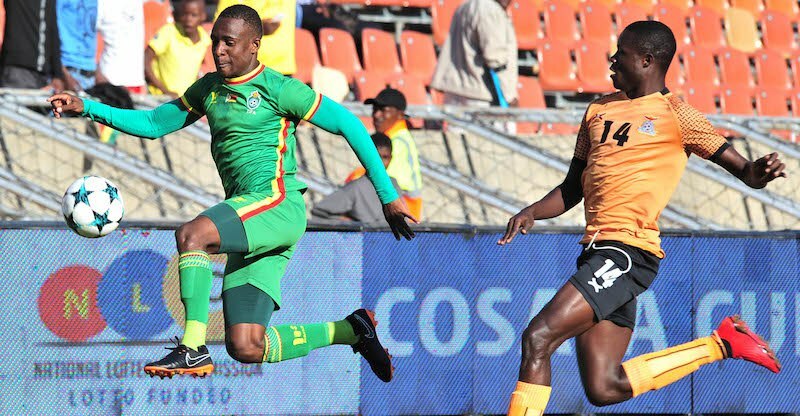 With only 90 seconds to go, Zambia gave away a 2-1 to concede a goal as the Chipolopolo Boys capitulated in South Africa. Below the ZamFoot Crew takes a look at how the Beston Chambeshi’s men fared. Toaster Nsabata -5/10 – it looked like his golden glove to take but he conceded 4 goals in the final game. Difficulty to fault him for the goals but when one lets in four it average. Shemmy Mayembe – 6/10 – The 20 year old could be one the best things Zambia has come back with from the tournament. He defended well and and did his fair part when attacking. Even against a tricky Talent Chawapiwa, he stood strong and hardly let anything come through his side. 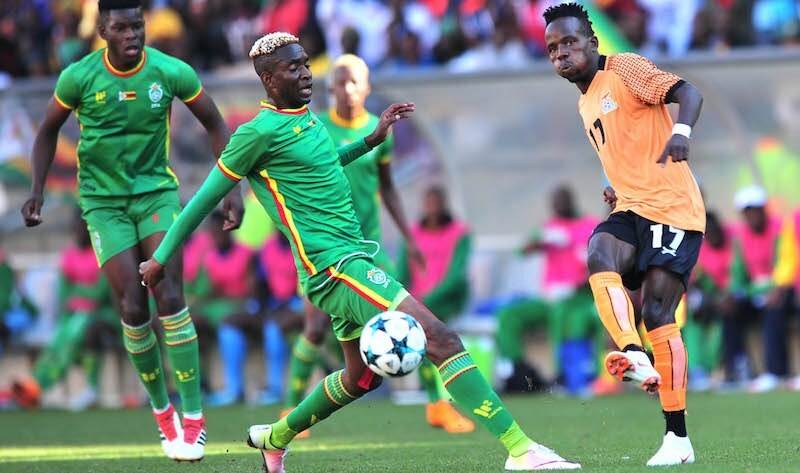 Martin Sikaonga – 3/10 -The weakest link in the Zambia defense. He was totally at fault for the opening goal and he was easy to beat when they attacked through his side. At 30 years old, it’s difficult to see if the Nakambala Leopards left back will add to his three caps. Billy Mutale – 5/10 – A very strong performance from the Power man. Very steady even under pressure. Even when Ziyo was pulled out of his socket by Billiat he remained the pillar at the back. He let Kawedere walk past him for the injury time equalizer and should have kept track of him he remained alert. Ziyo Tembo– 6/10 – He stuck to the instructions of not letting Billiat play even it took fouling him. He covered a lot ground was first to all high balls sent into the box. Benson Sakala – 5.5/10 – He will soon own the ‘number six’ position. He was there to mop-up just on top of the defense. He was showing great awareness to cover for the central defenders every time they were pulled out of their positions. When he tried to play long from the back, he hardly picked the right ball. Jack Chirwa – 4/10 – He made a presence in the central areas and did enough to help break-up play. But his contribution in unlocking the Zimbabwe defense was insignificant. Even when he shot on target, he did not show conviction. John Chingandu -3/10 -One of the weak links in Chambeshi’s team. He lacked penetration in the wide areas and was second best on 50/50 balls. Aside the pass to start the move for the first goal, it is hard to remember his contributions going forward. Kelvin Mubanga -3.5 -He saw a lot of the ball but just never seemed to have settled in the game with less inspiring ball control. Even when he went wide, he failed to create for the other strikers. Clatous Chama -7/10 – He was the heart beat of the Zambian attack. Two great assists for the two goals but seemed out of ideas once he had a different striker to feed when Kambole was substituted. Lazarous Kambole – 8/10 – What a striker! For the two goals, he showed that he has awareness, intelligence, pace, power and can bring other players into play as well. It was difficulty to see where the goal would come from once he was substituted. Ronald Kampamba (in for Lazarous Kambole) 1/10 – Came in with 2 minute to play and he could have won it for Zambia but he planted his shot on to the upright with only the keeper to beat with a minute to play. He later carelessly conceded the penalty that saw Zimbabwe lead in the extra time. Poor performance from the landlord. He set out his team well to defend and attack as a unit and he had the trophy within spitting distance but for the injury time goal by Zimbabwe or the miss the by Sate Sate. He stuck to the winning team despite the nit so strong performances by some of his midfielders in the previous games. When Zimbabwe attacked they were easily repelled by the dedense and willing runners in midfield. His first sub was timely on he 60th minute and he only went in defensive mode in the 84th minute when he played Sunzu. The Kambole sub was forced and unfortunately once Zambia had gone into Extra time the team was already set out to defend and not attack. When the team went down from the avoidable penalty, he didn’ not have resources on the pitch to dig out a goal. clatous chama is so gifted. This guy should be given the No. 10 position in the senior national team. Just in behind the No. 9…..there is nobody else that can match his composure, intelligence, technique and his quality in that position. He also controls the tempo of play brilliantly. The commentators were so biased they only wanted to see what biliat was doing…..never even gave any credit to CCC. Such a classy player. He is kalaba type. Brilliant on the ball but can’t finish. He should never touch another player in the face again. Was surprised to see Zimbabwe lineup of nearly all foreign based players from goalkeeper to Billiant of Sundown. Shows Zambia intentions were not to WIN but to learn what annoyingly called “one of two things” . So even COSAFA continues to elude us. I have to wonder why the coach substituted Kambole when he looked to be Zambia’s best goal threat? Anyway, time to worry about AFCON and whoever FAZ will reveal as the next coach. We deserve a part on the back! All professionals against a young Zambian untested team of locally based players. Commentators, so unprofessional. All they wanted to see is a Zimbabwe victory. No credit given to Zambia. But they must realize that we used our b team of untested players playing together for the first time. They say what does not kill you just makes you strong, this cosafa region envy us big time William shongwe big bro was very disappointed with your comments but its OK your ka Swazi national team is not even better than our club zesco and your stupid swallows Will be humiliated in your back yard. Ati king billiat the boy just plays for a PSL club not even Europe where he wont even last a season. Local coaches have failed we need an expatriet coach. What did Chambeshi expect from Sate Sate honestly?!! At that critical time a player with defensive qualities was required not the useless Sate Sate. Chambeshi should continue as first assistance coach.faz they made a big blunter when they appoint sichone as technical director. His presence is not felt.. Lastly martin siakonga should be dropped is too old to develop him. Bring in young stars.. The coach had other players such as Cjanula of Chingalika. This fella has defensive qualities and strong on the ball. Renard said 4 years ago that Sate Sate is no player to feature for Chipos. Here we are the fella cost us in the last minute; missed a sitter and caused a penalty! Drop him for goodness sake! Disappointed. Zimbabwe looked clueless until Kampamba missed.sate sate going backwards.c c chama on the other hand set up goals like a genius. In one moment the difference etween average and class was seen when cc passed an sate sate missed. Chambeshi deserves credit for resurrecting ccc.